What makes this line such multi taskers is that all of the iridescent glitters are translucent so you can still see the shade I underneath but it adds the sparkle, flawlessly. 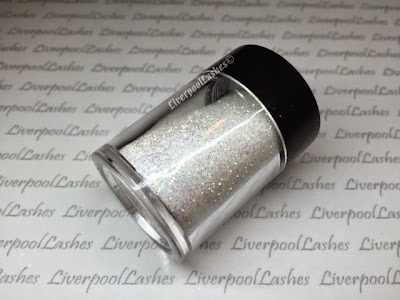 I recently added a little amount of this glitter roughly to the tips of a client's nails who is trying to get them in a good condition with CND Brisa Lite Smoothing Gel, but wanted to jazz them up with something else. I must say that they looked brilliant. If you haven't already got it, I highly recommend you pick it up. It would be perfect for brides and I actually have a pot of white acrylic powder with a pinch of this glitter in for those who want a sparkly forever French! 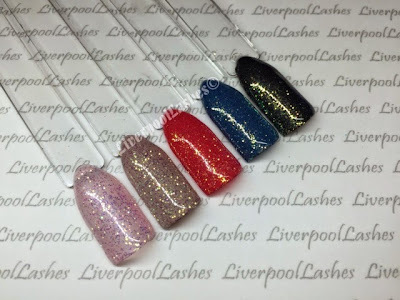 I just think that if you were a mobile nail tech, it's the perfect glitter to have in your kit to offer a ton of different options as well. I hope you've enjoyed today's post. Please make sure you're following my Facebook page to keep up to date with what I'm doing next. If you'd like to read more 'Focusing On' posts - click here.